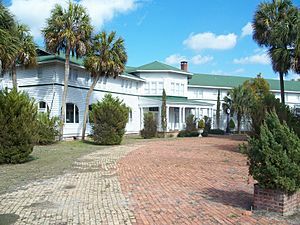 According to the U.S. Census Bureau, the county has a total area of 864 square miles (2,240 km2), of which 705 square miles (1,830 km2) is land and 159 square miles (410 km2) (18.4%) is water. In the county, the population was spread out with 22.10% under the age of 18, 7.90% from 18 to 24, 26.60% from 25 to 44, 26.20% from 45 to 64, and 17.10% who were 65 years of age or older. The median age was 41 years. For every 100 females there were 113.90 males. For every 100 females age 18 and over, there were 117.20 males. 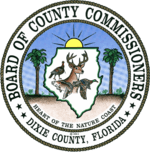 Dixie County, Florida Facts for Kids. Kiddle Encyclopedia.